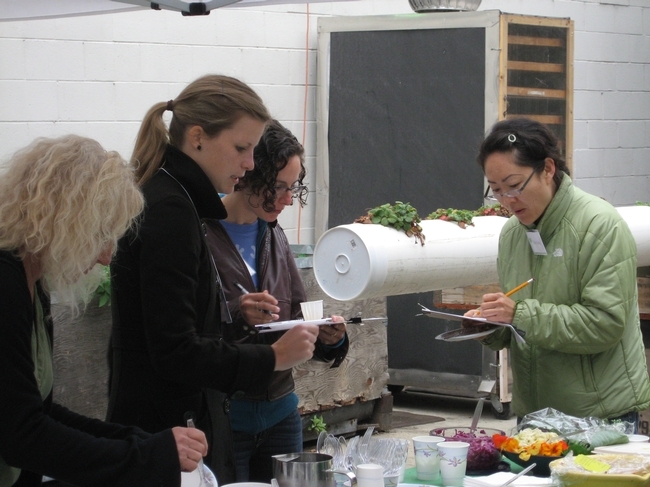 The day dawned grey and drizzly but the intrepid UCCE/LA County Master Food Preservers were raring to go. 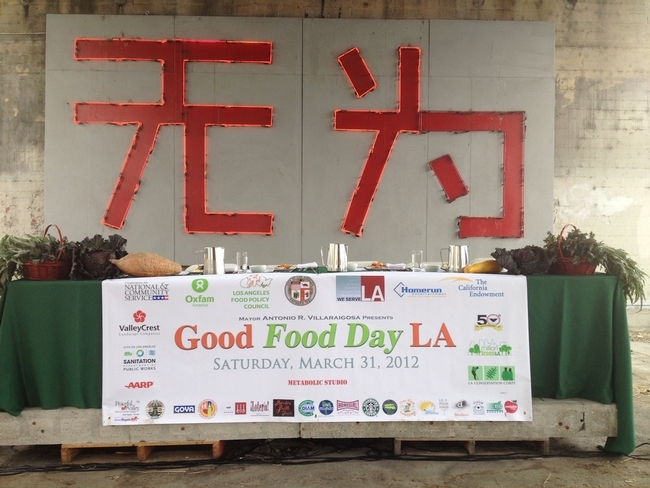 The “concluding events” of City of LA Mayor's Day of Service – this year scheduled all across the city on Cesar Chavez Day (March 31) and dedicated to the theme of Good Food for All – took place in a lively corner of the urban jungle at the edge of Chinatown, at Metabolic Studios, an arts/eco experimental collective, which organized the “Cornfield” we’ve all heard so much about. 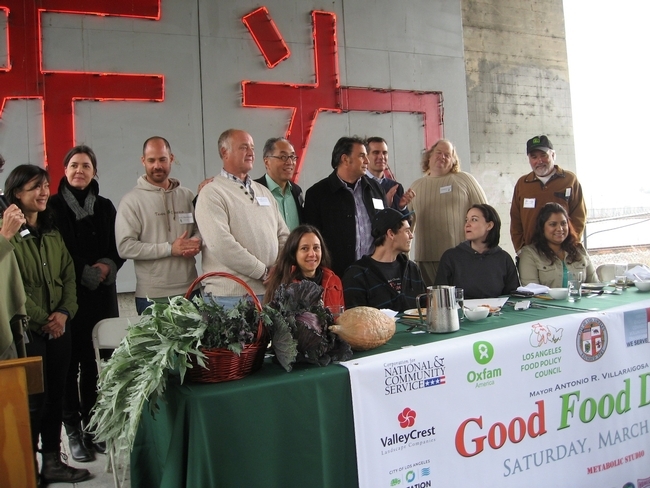 Next to the train tracks and under a concrete bridge, chairs, tables and canopies were set up for non-profit organizations involved in food issues to distribute materials and talk to interested members of the public about their missions. 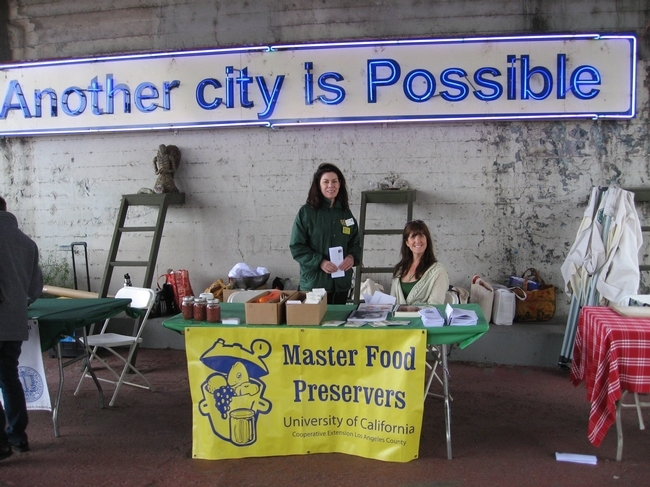 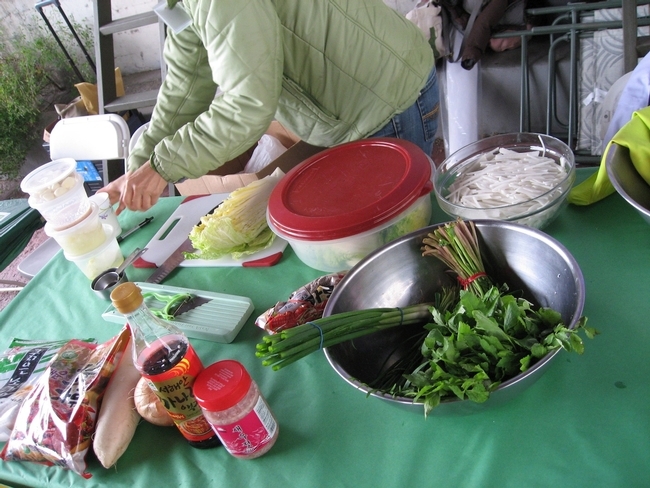 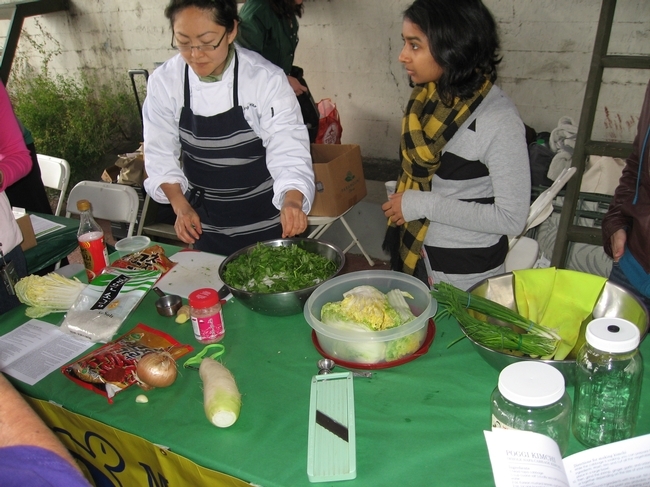 And just below the neon sign on the wall that reads “Another City is Possible,” the Master Food Preservers (MFP) and Master Gardeners (MG) set up tables with volunteers, books, informational handouts and – in the case of the MFPs – demonstrations on how to make kimchi, preserved lemons and refrigerator pickles. 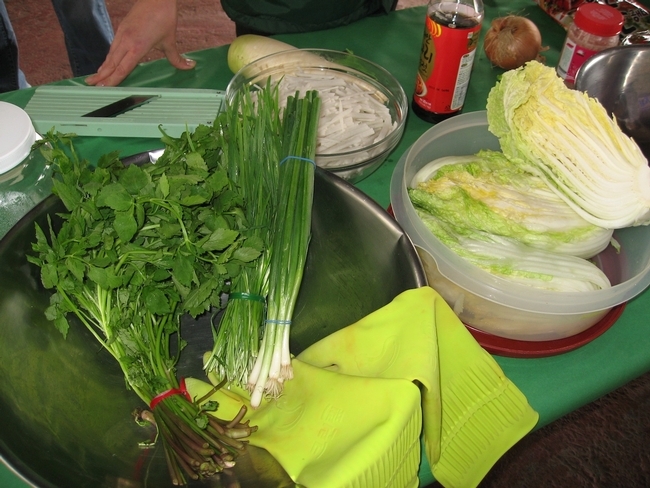 A handful of MFPs were preliminary judges of the “Cabbage Contest,” which is in season now. 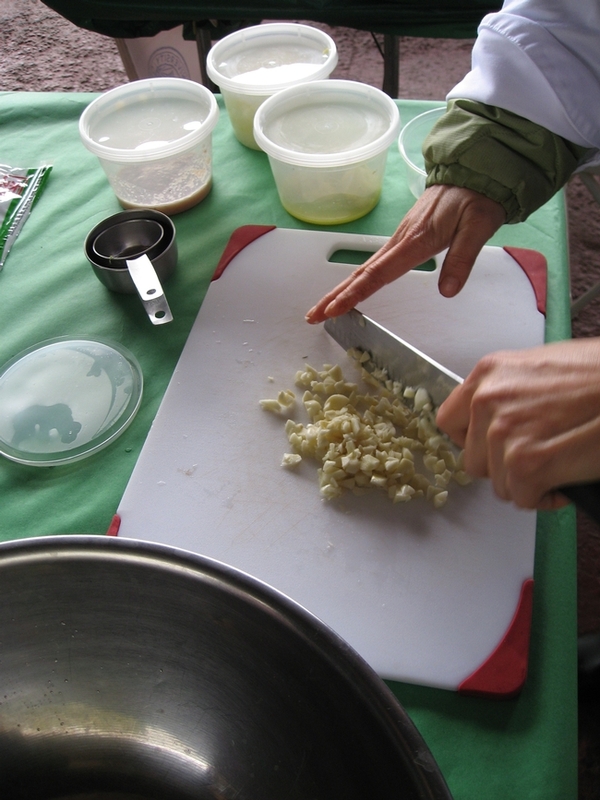 Beginning at 9 am, entries in three categories – fresh, cooked and fermented – were delivered by members of the general public – AND three of our Master Food Preservers, too!! 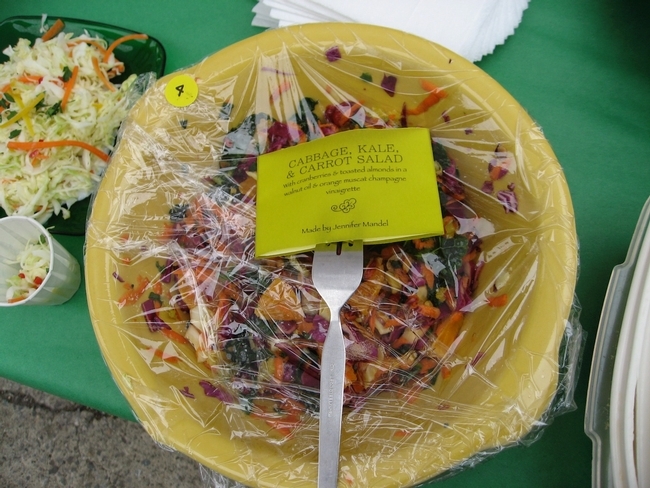 MFP/MG Susan Nickels submitted a slaw – and made it into the finals. 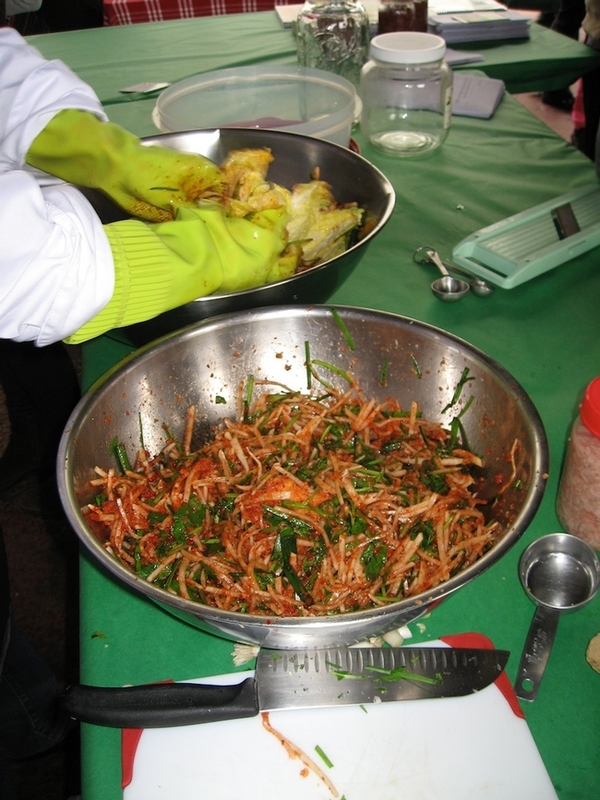 As did MFP/MG Rachael Narins, whose Thomas Starr King Middle School students not only made but grew the ingredients for their kimchi submission. 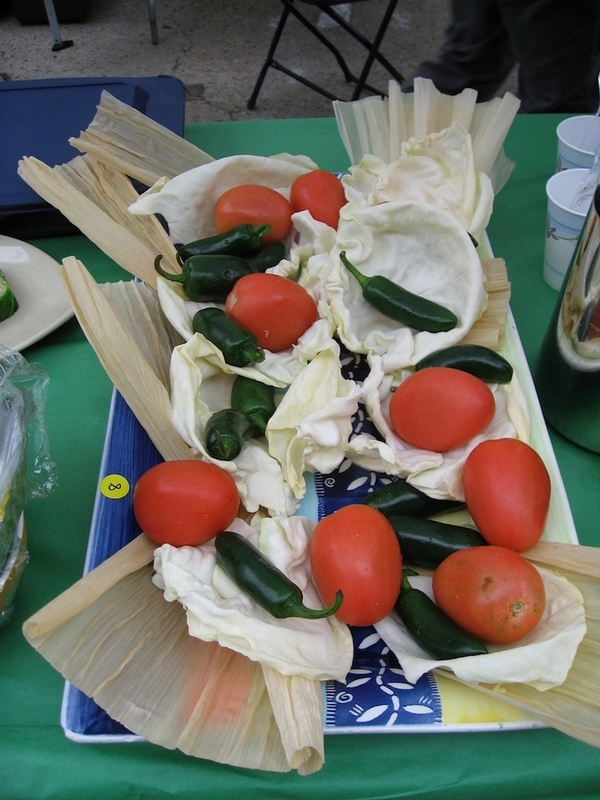 Of course, those choices of finalists (REALLY!) 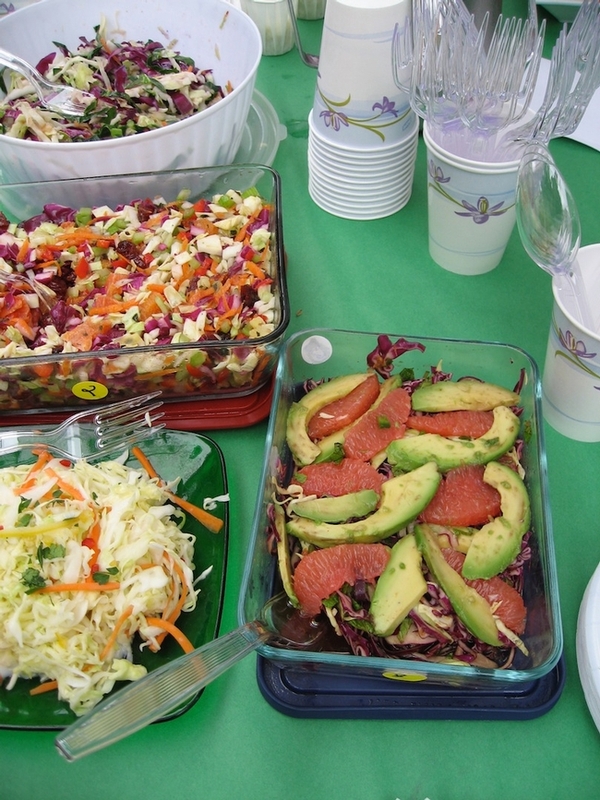 had nothing to do with the MFPs – dishes were numbered and anonymous on the table and judged on the merits of taste, appearance and creativity. 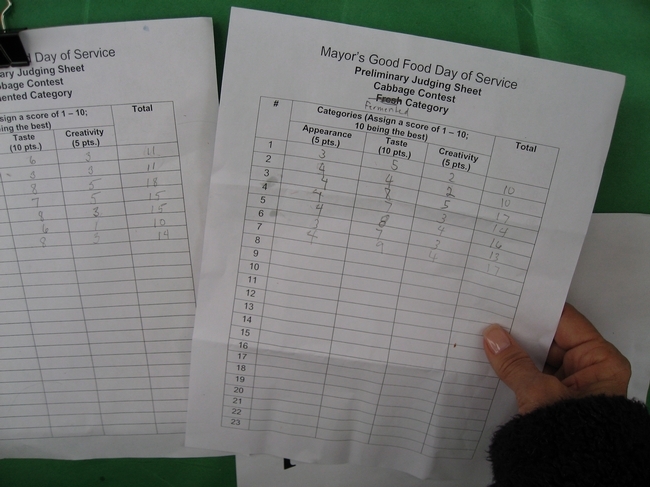 The final six choices (two in each category) were delivered to the panel of celebrity judges, who sat at a table on a “stage” and made the final call. 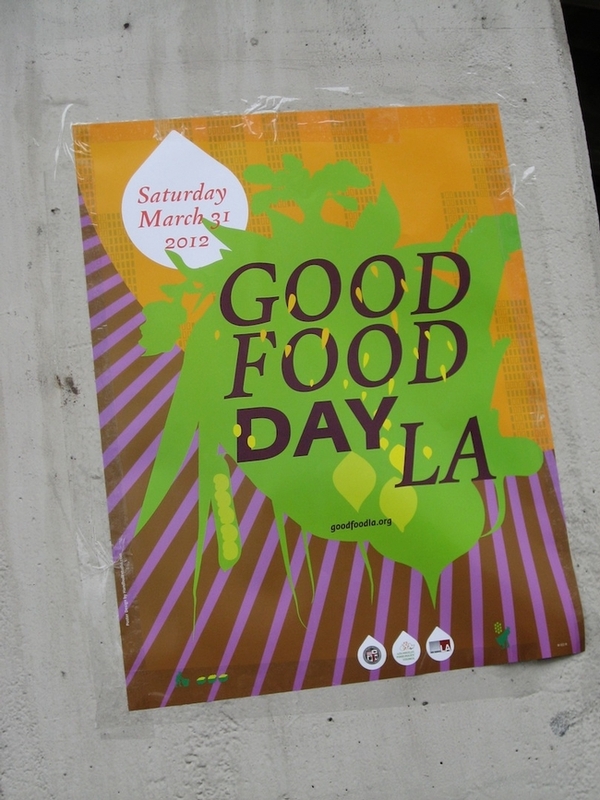 They included Eric Oberholtzer of Tender Greens, Josiah Citron of Melisse, Pulitzer Prize winning food writer Jonathan Gold, farmers Phil McGrath and James Birch and mayoral candidate Eric Garcetti. 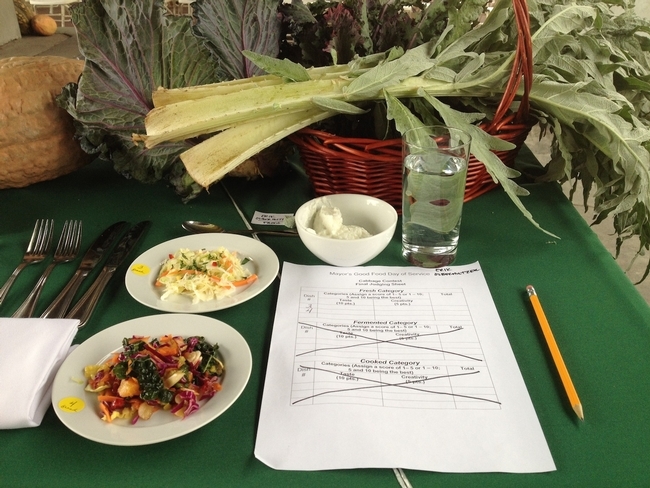 Susan’s coleslaw (secret ingredient, Preserved Lemons), the one on top in the photo, sits at the final judging station alongside winner Jennifer Mandel’s cabbage, kale and carrot salad. 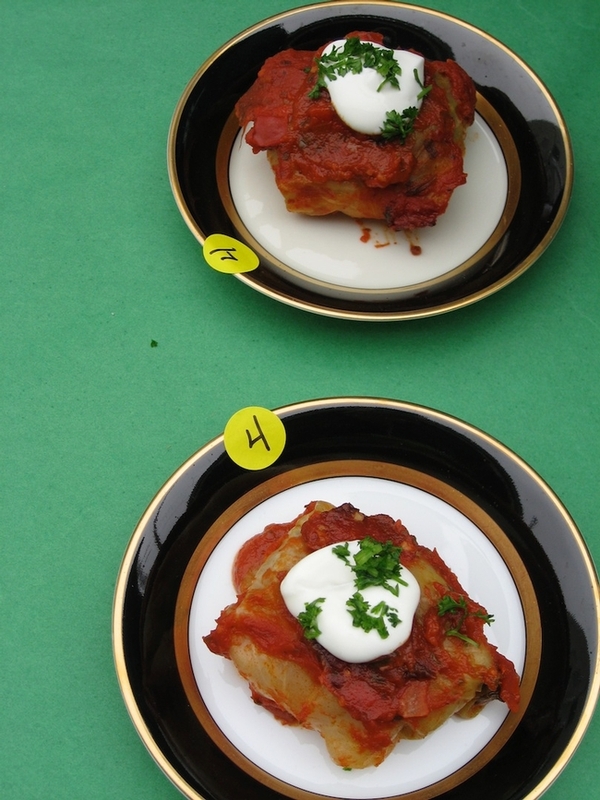 In the case of Rachael’s students, it was literally a toss-up – there was equal praise for both final dishes, and a coin toss settled the winner. 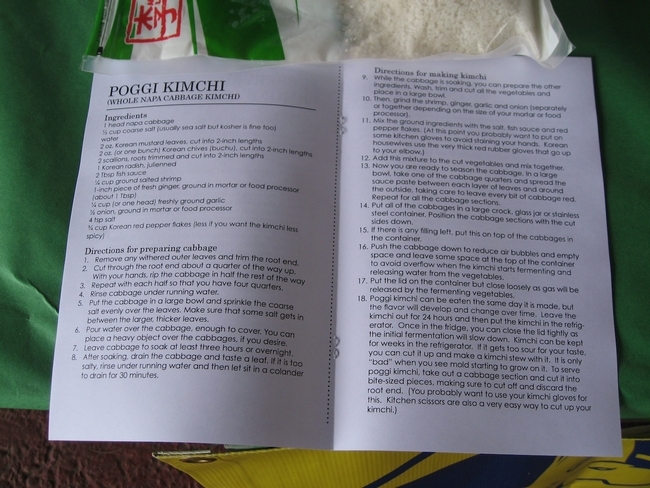 (Photo courtesy Susan). 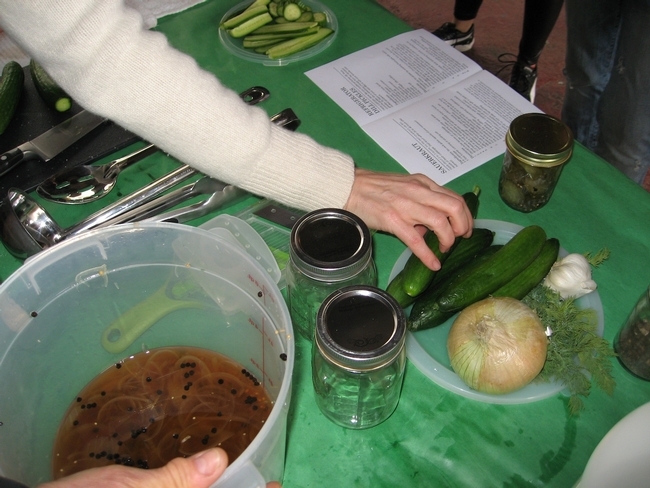 The prize was likely not appropriate for the kids anyway: a dinner for two at Citron’s very posh Melisse restaurant in Santa Monica; but a consolation prize came with it. 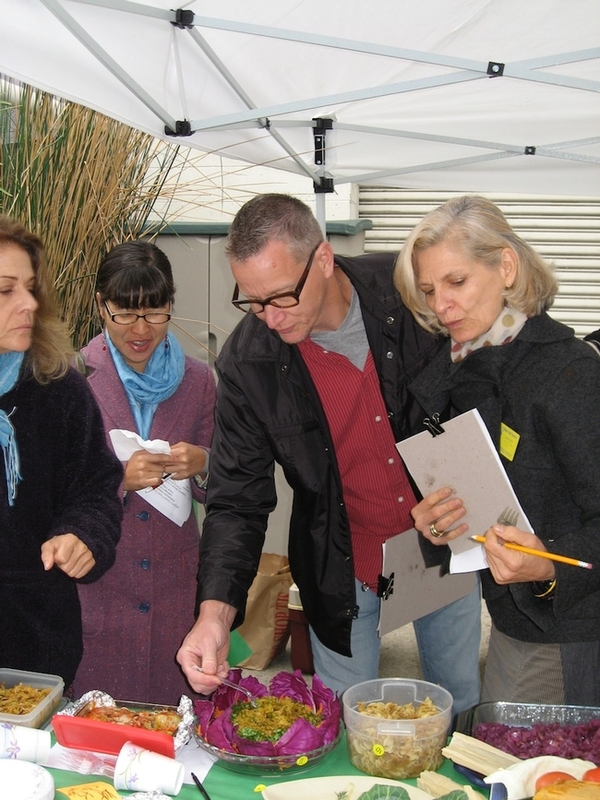 Once Eric Garcetti heard the story that the kids grew their own ingredients, he promised to come visit and congratulate the students in person at their Silverlake school, which is in his neighborhood. 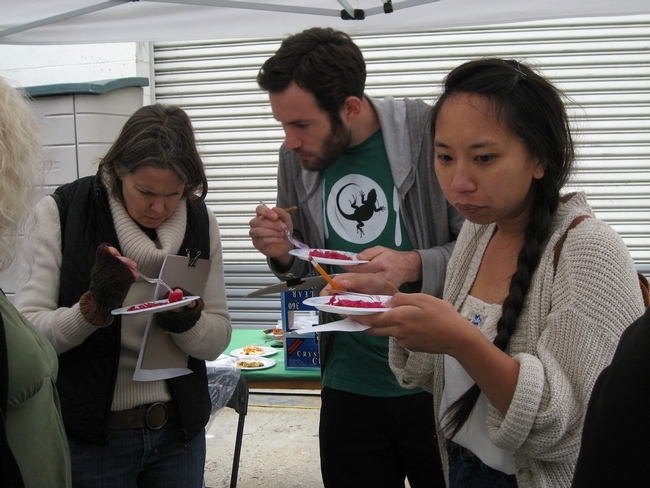 But much attention was paid to the demos at the MFP table. 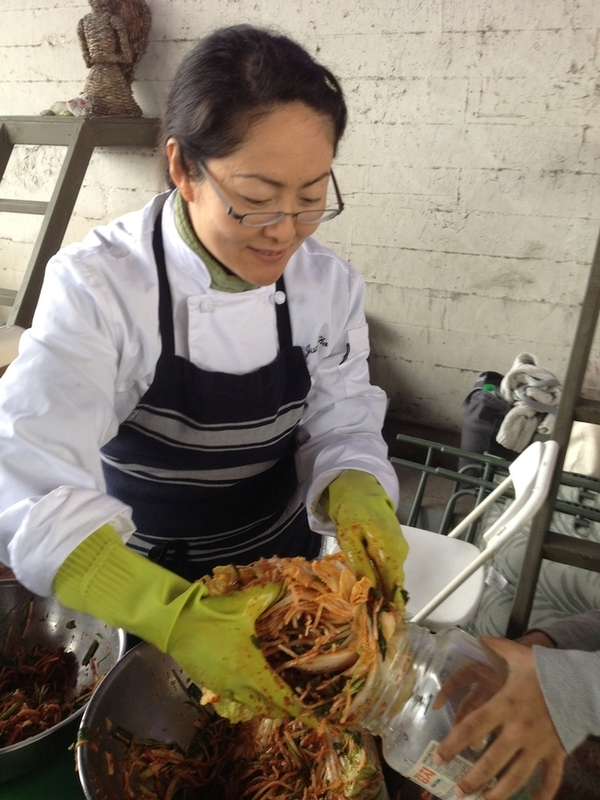 Hae Jung Cho is a professional cook and an expert kimchi maker – she showed us her ingredients and techniques and proved how very easy it is to make kimchi, and how healthful its fermented properties are. 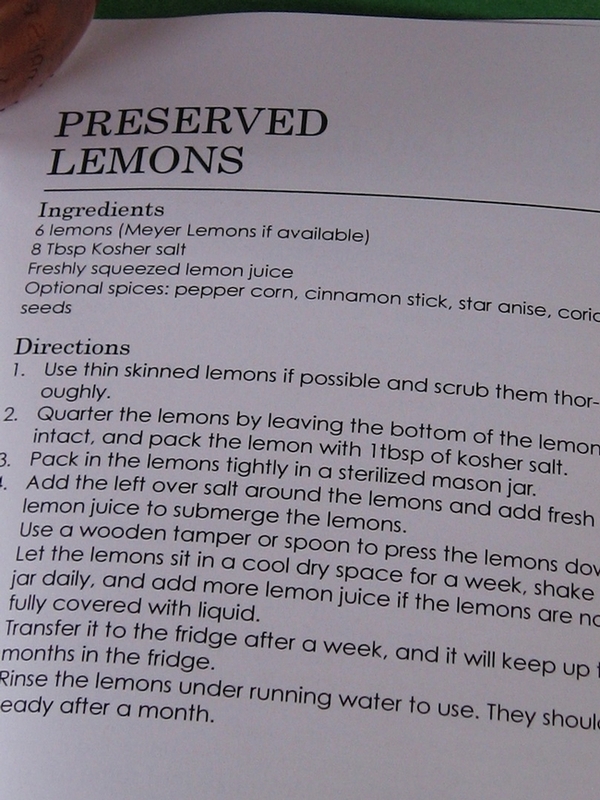 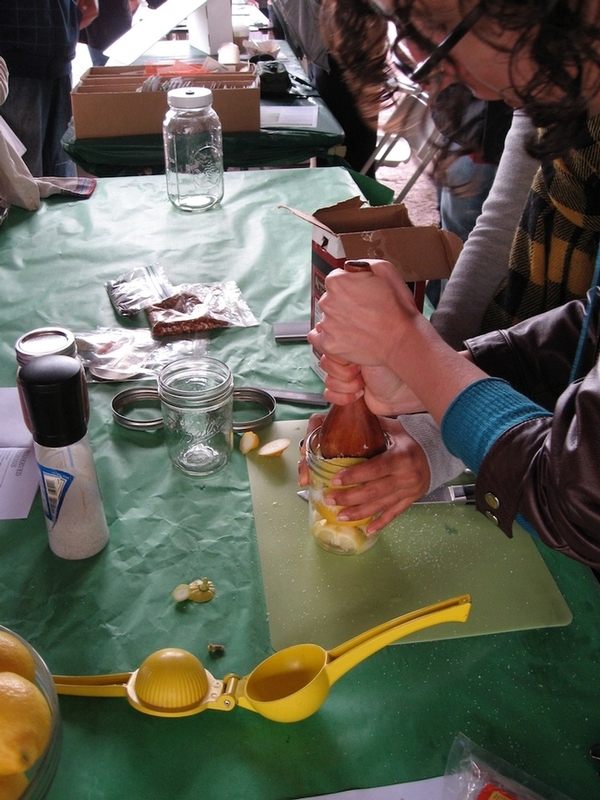 Then Amy Goldman and Roshni Divate demonstrated one of the key ingredients in Moroccan and Middle Eastern cooking – preserved lemons. 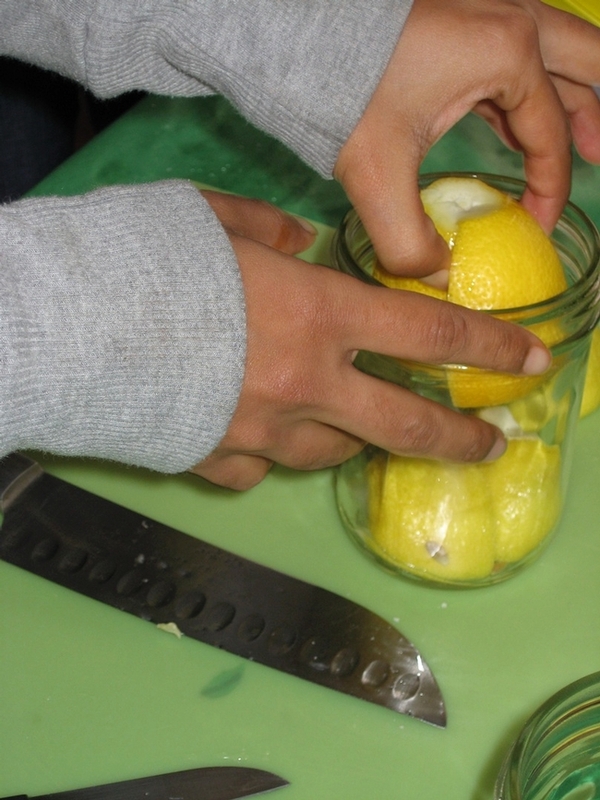 There’s no surfeit of lemons in California, so get past the “when life hands you lemons, make lemonade” mantra and learn this simple salting, squeezing and spicing technique. 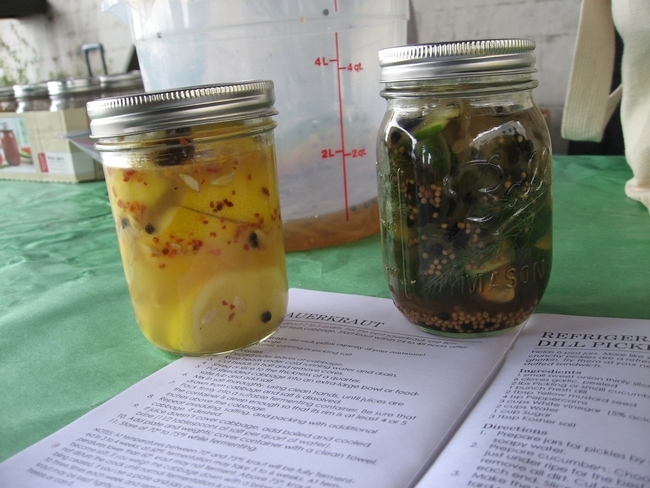 Preserved lemons are a secret ingredient that chefs use for many different dishes, from pesto to salad dressings and more. 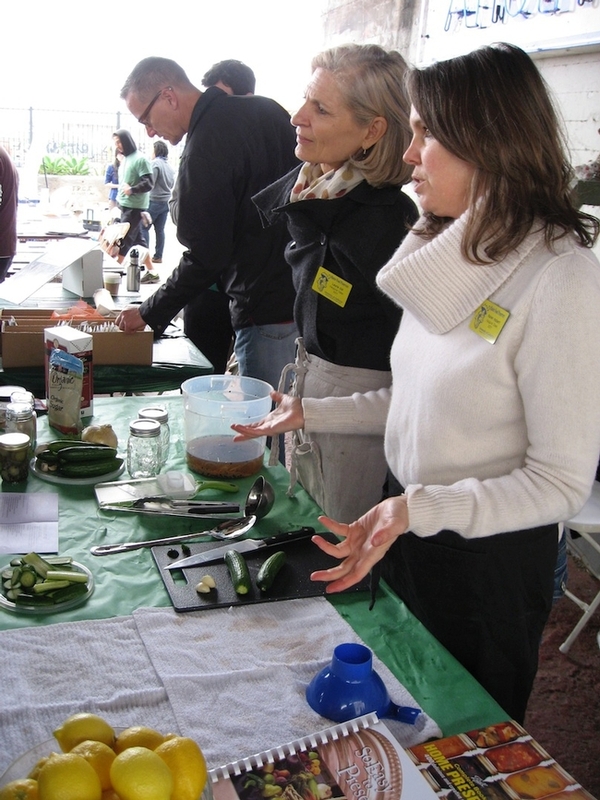 And finally MFP/MG Laurie Dill and Karen Hobert showed us how simple it is to create original, delicious refrigerator pickles, with a spiced brine and fresh cucumbers, which are showing up now at Farmers Markets. 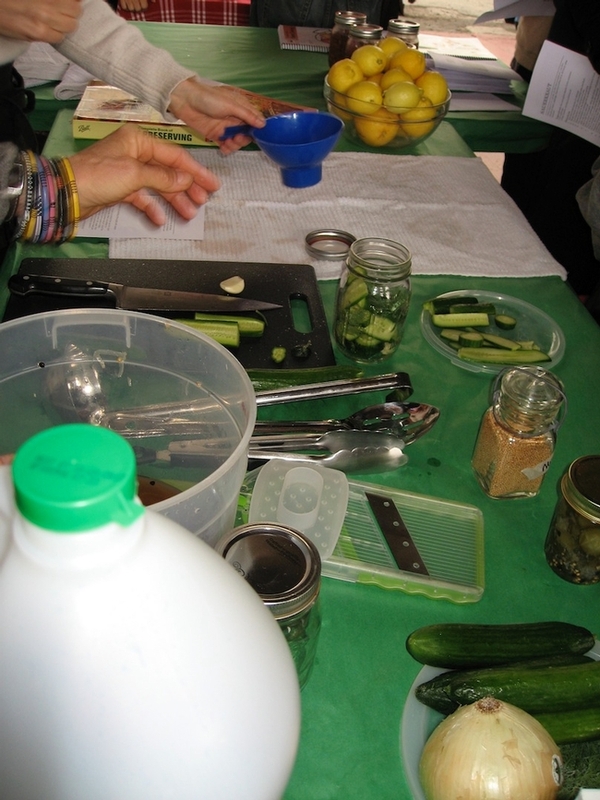 Grow your own, and “when life hands you extra cukes,” make pickles!